Simon Campbell will help us lay out a plan for advancing two “Right To Work” related bills, ‘Freedom of Representation’ and ‘anti-SLAPP’ legislation and our Energy Committee will detail actions you can take to combat the myth of “global warming”. I hope to see you at our August meeting, and be sure to bring a friend or two. See you then! 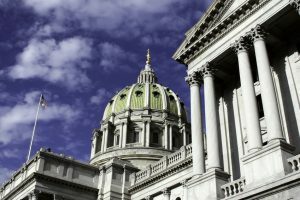 This year is the 13th Annual 2nd Amendment Day in Harrisburg. If you have never attended, know that this is the premier 2A event in Pennsylvania. It is hosted by Rep. Daryl Metcalfe and includes some of the best 2A presenters in the industry. (speaker line up to be announced). We rally in the Capitol building in the morning, then grab some lunch, then visit various lawmakers to make sure they know that we want them to protect our rights.